There are few things better in life than getting a fantastic thank you card from a wedding that I loved being a part of. Well, that and a Washington Redskins win. But I digress. When a letter popped through my door I was like a kid at Christmas. I love getting mail. Hand written addressed mail. Was this my very own Red Rider BB Gun (if you don’t get the reference you haven’t lived…here’s the link)? It may not have been a Red Rider but it was something just as wonderful. 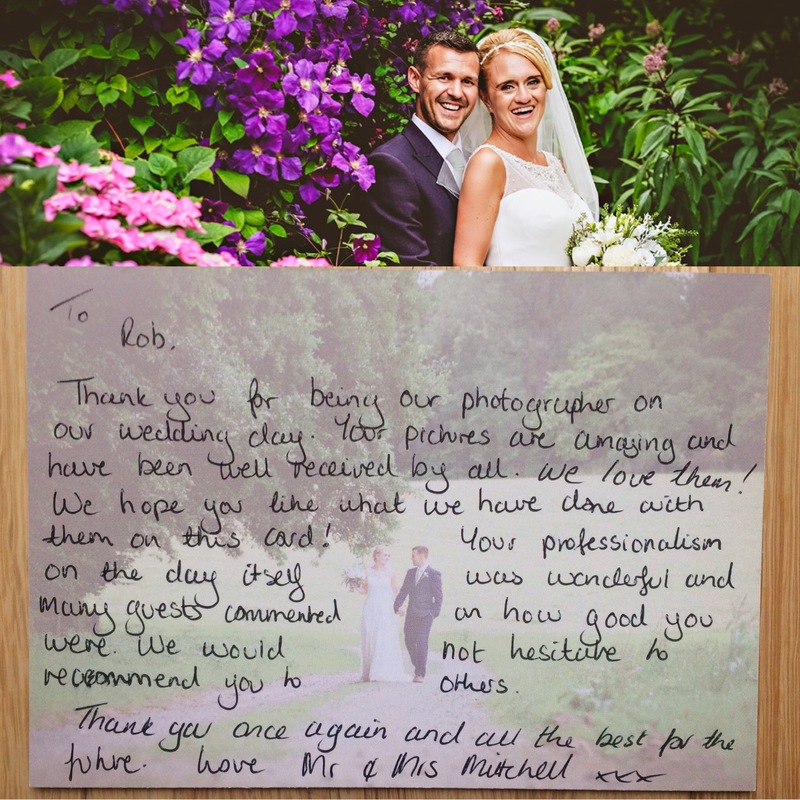 A thank you card from the July wedding of Kirsty and Elliot at Gate Street Barn. I think a thank you is in order to them as well. To allow me into their world, to be a part of something so fantastic, is simply brilliant.